To some people, the cleanest part of the house should be the bathroom since it’s where most bacteria are. Most people, on the other hand, say the kitchen should be the cleanest because it’s where the food is prepared. No matter what, the entire house should always be clean to make it more livable and comfortable. Every year, it is necessary to have a general cleaning in your kitchen. You can make it once or twice a year if you are too busy to do so. Daily maintenance, however, is the most important thing. You should always maintain the cleanliness and safety of your kitchen. To do that, we have listed 10 ﻿﻿﻿﻿﻿﻿useful tips to cleaning your kitchen. It is important to note that the kitchen should be free of trash. You couldn’t even work in a messy kitchen, could you? With all the peelings on the floor, sauce splatter all around, crumbs all over the counter, how will you react? In order to avoid dropping trash as you walk from the counter to the garbage bin, you can actually use a small bowl where you can put the trash and transfer it to the larger container after working. The trash bin should also be large enough to accommodate all the waste from your kitchen. This will avoid overflowing. It is also important to separate biodegradable and non-biodegradable waste materials. The trash bin should be emptied every day. Since you are using a bowl as your mini trash bin, you should always leave it whenever you start cooking. You just have to bring it out when you are preparing food. The counter should be cleared and properly cleaned after preparation. Do not congest your countertops with kitchen utensils; it’s not actually a good sight to see. You should properly keep the tools in order so you can easily find things when you need it. Mark each cabinet and drawer where you store things. Separate eating utensils from cooking utensils and kitchen cleaners – knives, cookware, buckets, etc. When you are slicing fruits or vegetables, you can place your chopping board over a mat so it could easily catch the slices. This will prevent from falling off the chopping board to the floor. For reusable measuring spoons, you can lock them in a cup. Once a month, you need to have a maintenance check on your kitchen utensils. Your knife may have rusted or it may need to be honed. The cookware could have burnt-on stains or rust spots. As long as you can still do something about it, try it out and see what it will become. Do not also forget to put some oil on your cutting boards at least once a month, especially those made out of wood. Wooden cutting board and kitchen utensils should also be maintained. Fluid gets dry quickly if left uncleaned. As much as possible, you should always wipe stains and drips. Because once you have forgotten, they leave great marks and strange odor. Also, always pick up anything that falls on the floor. Do not leave your kitchen unclean and disheveled. Clean and dry the countertops before you leave and make sure the stoves are secured. The dishwasher should be emptied so that when you return to the kitchen, you will not be disgusted and distressed. Before you start cooking, make sure that the sink is empty. This will enable you to work carefree. After using the kitchen utensils, do not let them sit in the kitchen sink or the dishwasher. After washing the dishes, you should also clean the sink as well as the dishwasher. Remove the greases off them with soapy water. 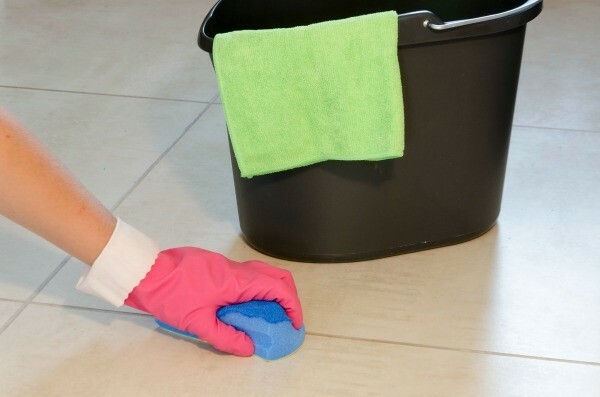 You can fill a bottle with soapy water so it could be easier for you to clean. You just have to squirt the liquid solution and wipe it down. Before you leave, you should clean the counters and let it dry. Also clean your countertops regularly so you won’t have difficulty scrubbing the stains off the next day. Whenever you prepare or cook, you should be gentle and subtle of your movements. Do not rush because you might get everything out of order. One minute, you will just see your kitchen drenching it sauce or flour. After cooking, cleaning should also come next. Rinse the pitcher of the blender immediately after emptying it. After you clean, fill with water and drop a little amount of dish soap. Put it back in the blender and blend it for 20 seconds. Afterward, rinse it and let it dry. When cleaning your microwave, place a handful of wet paper towels inside and set it on a high level for 3 to 5 minutes. Once the paper towel cooled down, wipe the interior of the microwave. You can leave a lemon juice with water in the microwave for about 5 to 10 minutes. This will deodorize the appliance. Prepare some ice, salt, and lemon mixture and fill it in the glass jug of a coffee pot. Swirl it for 2 minutes and rinse with water. Use salt when cleaning a cast-iron cookware. Rub the interior with a few tablespoons of salt and a paper towel. Afterward, rinse it and dab cooking oil on the surface to maintain the coating. Run a small handful of uncooked rice through the coffee grinder. You should avoid using your coffee grinder to grind spices. Use a clean pastry brush to remove remnants of cheese in a cheese grater. Mix half vinegar with half water and freeze it. Once frozen, grind into ice cubes and use it to deep clean and deodorize the garbage bin. Scrub the coffee stains in china cups with vinegar and salt. This will remove the stain. It is important to maintain cleanliness in every corner of your home, especially in the kitchen. If you are really busy, apply these tips to make it easier for you to clean and maintain your kitchen. The tips listed above are straightforward and easy-to-follow. However, it just covers the most common tasks that people do every day. You should always make cleaning a habit in order to avoid developing illnesses in your home.